So you just started an account... Or maybe you've been here a while and you just aren't getting a feel for things. 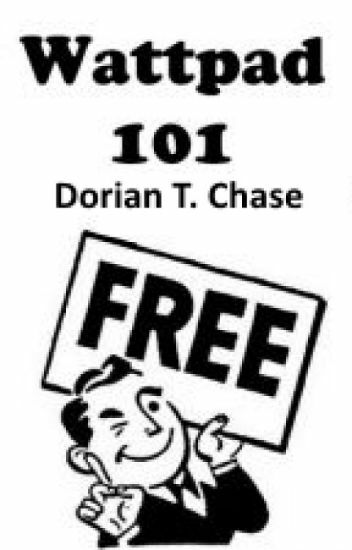 Well Dorian is here to help you out! Here is an ongoing guide and the tricks of the trade. How to get followers, how to critique work, how to be popular, and how to write. Feel free to throw out comments for suggestions to things you'd like to hear more about. Good Luck and Happy Writing! Day 1: What do I do? How to write a decent Critique? How long should my chapter be? What you "can" do and what you "should" do. Comments, Likes, and Readers; Oh my! How Do I Describe My Main Character? How I Learned to Describe My Books Before People Read Them! Accents, Banter, and Lizard People? What Do You Want, Wattpad? In The US - Diet, Obesity, and Fat-shaming? What the Heck is Filtering? Is The Bible a "Good" Book? Help! Help! I'm Being Infringed! An Update on the New Ranking System!!! Wattpad. That is the site that we're on right now. The one you're reading this description on. This book is filled with things that couldn't be made into whole books. Like how to make really cool covers, or write funny bios, how to make conversation with people on PM, how to find the really good books. This is how to Wattpad. Made by a Wattpader. Do you have any burning questions about Wattpad? If you do, then you've come to the right place! This is 'The Wattpad Advice Corner'- do come in. Take a seat. And ask away. There are hundreds of fantastic books about writing for hopeful authors to choose from, but most of them are boring, complicated, and bogged down by filler. This little book is brief, straight forward, and easy to understand. I hope it will serve as an easy-to-read manual to help serious writers perfect their craft. I should say right off the bat that I am NOT an expert; I forget my own tips all the time! However, I do know what generally works for me, so I thought I could pass it on to my friends at Wattpad. One last note: this book is for writers who have a basic understanding of grammar and story structure. If you’re interested in more fundamental steps you can take to write a great story, check out the companion to this book! Wondering how people get so famous on Wattpad? HOW TO BE SUCCESSFUL FT. LOADS MORE HELPFUL WRITING TIPS! Highest Ranking: #1 in Non-Fiction! A collection of useful words and sentences used to describe scenes or characters in writing a story. Plus, any useful things I encounter like how to write dialogues, flashbacks, and more. Done FUN: insider help from a twice Featured Author and Wattpad Ambassador, plus contests to showcase your work! I've been on Wattpad for 6 years now. I came here as a writer, and today I'm an employee. Half of my time has been spent behind a desk here. I've never stopped being a writer while I'm here, and I'm always on a quest to figure out how to write, what to do, and how you find success here. I want to take everything I've learned and cover how to write, how to use Wattpad, and how things really work. Part 2 will mainly be about the craft of writing, or as I like to think about it, How to Be a Writer. I will however, veer off on tangents to answer questions or just because I want to, but I hope to be informative every time I do so.